Cilia are microscopic finger-like cell-surface organelles possessed by a great many eukaryotic organisms, including humans, whose purposes include generating local fluid movements via rhythmic whip-like beating and environmental sensing. Despite intense research efforts since their discovery by van Leeuwenhoek in the 1670s, several key questions regarding ciliary functions, experimental manipulation and in silico imitation remain unanswered. Major justifications for cilia research lie in their involvement in various forms of human disease (ciliopathies) and their ability to instantiate decentralized, asynchronous sensorial-actuation of adjacent matter through modulation of beating characteristics. Further elucidation of these characteristics, which is a problem requiring the combined expertise of mathematicians, computer scientists, engineers and life scientists, will lead to novel biomedical therapies, creation of "smart" actuating surfaces for microfluidics/lab-on-chip applications and a greater understanding of fluid mechanics in real-world scenarios. This lavishly-illustrated collection presents recent advances in the fields of ciliary investigation, manipulation, emulation, mimesis and modelling from key researchers in their fields; its goal is to explain the state-of-the-art in cilia bioengineering and bio-computation in a uniquely creative, accessible manner, with the purpose of encouraging further transdisciplinary work in the field as well as educating a broad spectrum of scientists and lay people. 1. Biology: Biological preliminaries for the study of cilia; the state-of-the-art in genetic engineering of ciliated cells for biomedical purposes; reprogramming of cilia dynamics in live cells. 2. 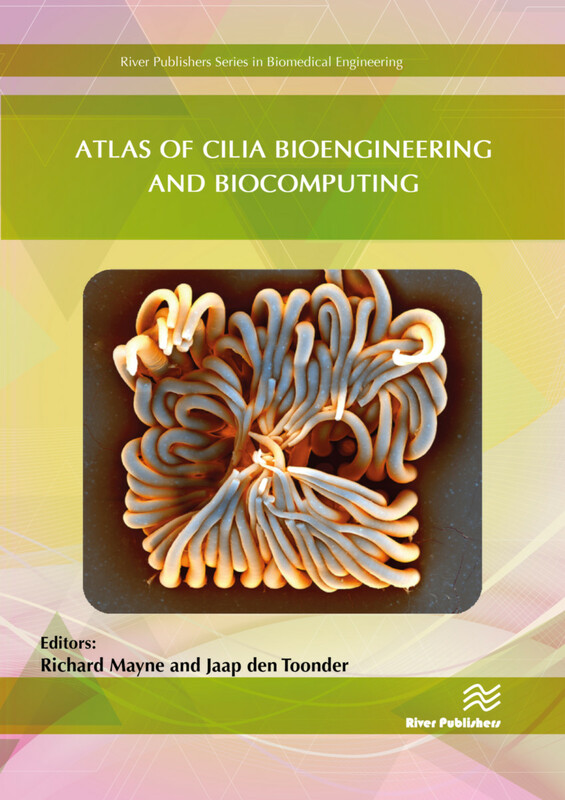 Engineering: Creation of macro cilia robots for object sorting applications; pneumatic cilia for the optimization of fluid motion; electrostatic, magnetic and MEMS cilia for microfluidic mixing; reviews in artificial cilia fabrication, actuation and flow induction methods. 3. Numerical and computational modelling. Analyses of thin film cilia for "lab on chip" microfluidic mixing applications; modelling of gel-based artificial cilia towards simulating dynamic behaviors of responsive cilia layers in complex fluids across a wide range of potential applications. Richard Mayne is at University of the West of England, UK. Jaap den Toonder is at Technische Universiteit Eindhoven, The Netherlands.